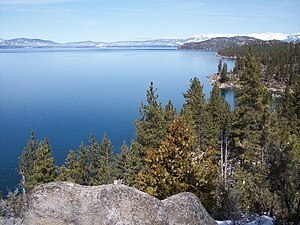 Sales in South Lake Tahoe have increased over the past couple of months. We were consistently closing 30 escrows a month but have recently jumped up to 129 sales (single family homes only) in the past month. 444 Active Listings of those listings 65 are either REO or Short Sale listings comprising 14.6% of the total. As usual, these calculations are made on sales activity of single family homes in the City – County areas of the South Tahoe Area Realtors MLS data. 129 Sold listings in the past month with distressed properties making up 44% of those homes closed. 90 Pending listings at present with over 55% of those properties are either REO or Short Sale. The trend continues for distressed properties to be a minority of the inventory and a majority of those homes that are selling. That continues to tell me that well priced properties will sell in this climate of low consumer confidence and low interest rates.